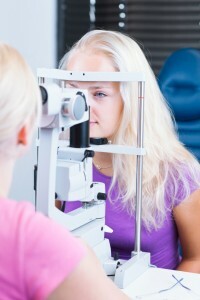 Are you looking for eye doctors in Middleton, MA has plenty of places to choose from. When it comes to your eyesight, you want to be assured that you are getting the highest quality of care. At Parrelli Optical, the health of your eyes is our top priority. Good eyesight makes everyday activities, such as reading and driving, so much easier. The quality of your eyesight may decline or become compromised for a number of reasons, such as age or health-related conditions. Our doctors are not only here to correct your vision but also to enhance the overall health of your eyes. • A visual acuity test helps to determine the clarity and sharpness of your vision. • The confrontation visual fields test marks your central and peripheral fields of vision. • An extraocular movements test checks for any problems with the muscles that control eye movement. • The pupillary test shows the efficiency with which your pupils dilate and constrict in response to light. • A cover test determines how well your eyes are able to work in conjunction with one another. • Refraction identifies astigmatism, farsightedness, nearsightedness, or presbyopia. • The slit lamp examination is used to check your general eye health. • Tonometry can gauge the pressure of your eyes. • The dilated fundus examination is used to monitor the health of the blood vessels, optic nerve, macula, retina and vitreous. After your exam at Parrelli Optical, our doctor will discuss any ocular health issues or concerns. We carry the latest styles in glasses and comfortable contact lenses. We are highly trained and qualified to perform the necessary procedures to restore your eyes to optimal health and function. For the best eye doctors that Middleton, MA has to offer, visit Parrelli Optical today.